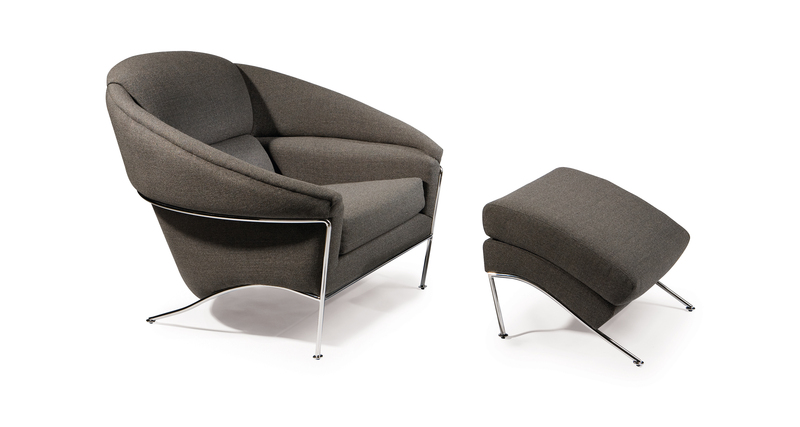 Designed in 1987 by Milo Baughman as his interpretation of a womb chair. Our Boldido lounge chair features highly polished stainless steel frame, intricate upholstery frame and striking tailored silhouettes from all angles. Choose any of our in-house curated fabrics or leathers for upholstery. Polished stainless steel base and legs standard.